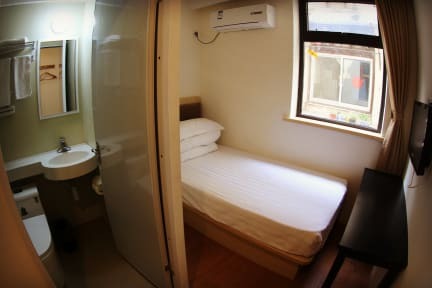 The Phoenix Hostel was established in 2008 and has been often described as the perfect place to discover Shanghai because of its amazing location. Our friendly and helpful reception staff will be happy to help you plan your day’s activities and organize tickets booking to local events and tours. When you’re done exploring for the day the Phoenix Bar located on the rooftop terrace is a great place to relax and unwind, especially on warm summer nights. This friendly hostel provides great value hotel standard accommodation at hostel prices in an amazing location. To meet the requirements of our customers, we offer 50 rooms with different room types: comfortable double beds, bright single rooms and excellent dormitory rooms. Our rooms have black-out curtains to keep the dawn out and have double glazed windows to help you get a good sleep if you need one. Our rooftop is a great place to relax after spending a day exploring Shanghai. A chilled-out space to meet new friends, read books from our free selection, play games or plan your next party. We hope that our guests will make the most of their time in China - a country with an interesting and diverse culture. In this perspective we hold numerous activities that embrace the Chinese culture such as dumpling making class, Chinese calligraphy, Chinese table games and many more. 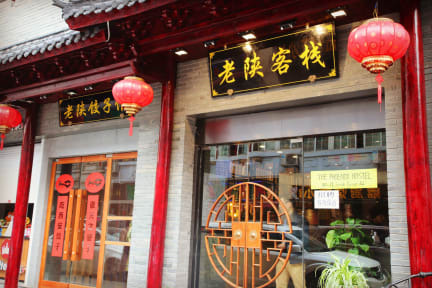 The hostel is situated on south Yunnan road, also known as the Yunnan food street because of its amazing selection of restaurants. Very close to People's Square metro station (a 5-minute walk), it is the perfect starting point for sightseeing, shopping, people gazing, exploring and getting to the far corners of this huge city. Yuyuan (Jade garden), city God temple, White Cloud Taoist temple and the old town Huaihai road, Xintiandi and Dongtai road antique market are close by. The service team at the Phoenix is just so great; young, super friendly, English speaking and always ready to help you. The facilities are also super clean and you see they put special effort in keep them that way. If I'm coming back to Shanghai, I'm definitely coming here again. I was also lucky enough to have only nice and tidy roommates here. Great thing. excelent location and nice staff, I will book it again when visiting in Shanghai.